OK folks, spring is getting closer day by day. And with spring the motorcycle season. The question is then, have you done your homework during winter?? 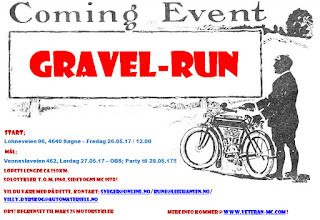 Ride the Gravelrun 2017 with us, a thrilling road run with 250 kms single lane roads and even better, most of the route is gravel roads. 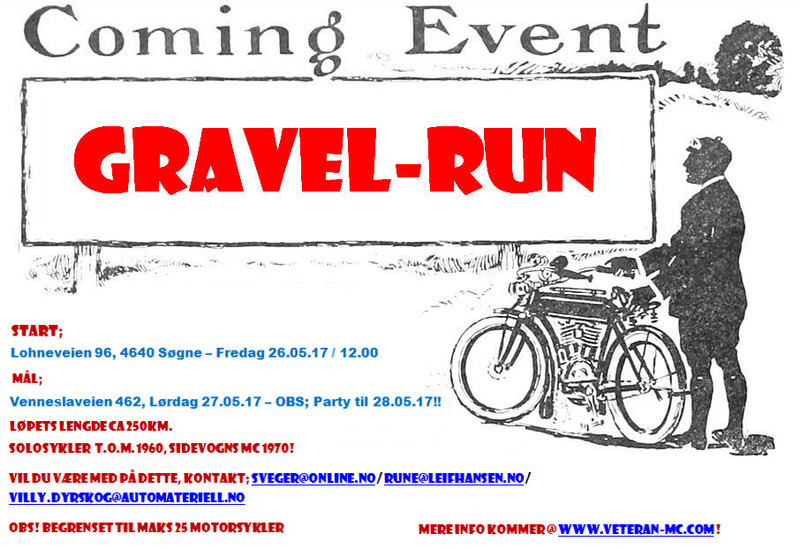 We will send invitations to last years participants and some new we would like to join. Did you not try this adventure before? Send us an e-mail and ask for an invitation.